Henrich Steffens (1773–1845) was one of the leading naturalists of the Romantic period. 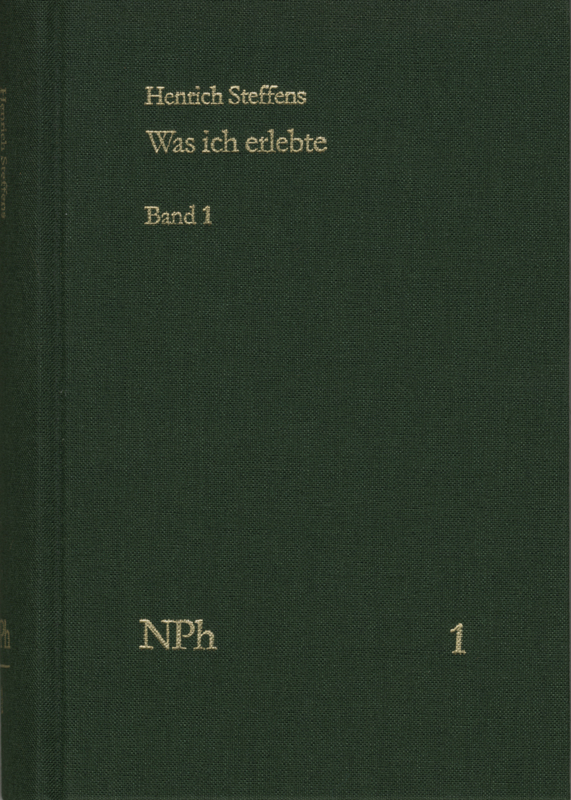 In his autobiography, ›Was ich erlebte‹ (What I Experienced) he gives an account of the principles and achievements of the naturalists in the Romantic period, of his contacts with philosophers and theologians (Fichte, Schelling, Hegel, Schleiermacher), with natural scientists (Blumenbach, A. v. Humboldt, Hufeland, Cuvier), with writers and poets (Goethe, Novalis, Jean Paul, A.W. and F. Schlegel) as well as of the social and political changes during this time.